In recent years, the PORT OF KIEL has stepped up its investments into the development of its digital infrastructure. 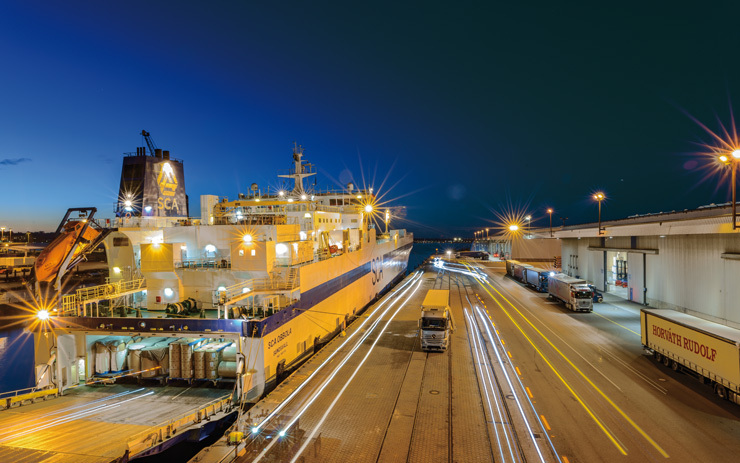 In order to meet the requirements of the international and highly interconnected business environment, the port of Kiel and its customers have developed innovative technical software solutions together that manage and optimise the processes and flows of goods in port. The digitalisation of logistical processes through developing appropriate software systems keeps being a focus for future innovation projects.